Astrill VPN is a program that allows you to surf the net anonymously and securely. It can be set up on your smartphone, computer, or router. However, if you decide to delete this VPN application from your Mac, there are some important factors to consider. In this article, you will find two ways to safely uninstall VPN Astrill on a Mac. Quit the Astrill VPN client. 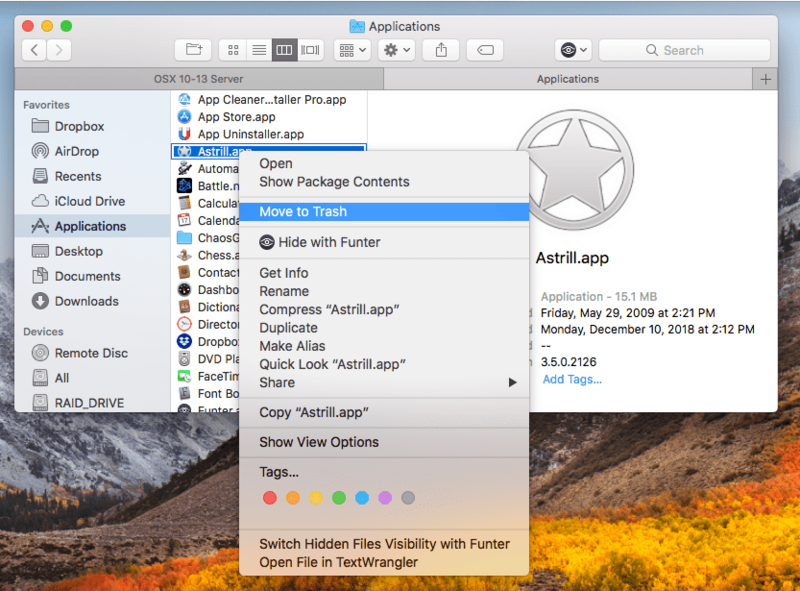 Open the Applications folder → select Astrill.app → right-click on it and select Move to Trash to delete the executable file of the program. 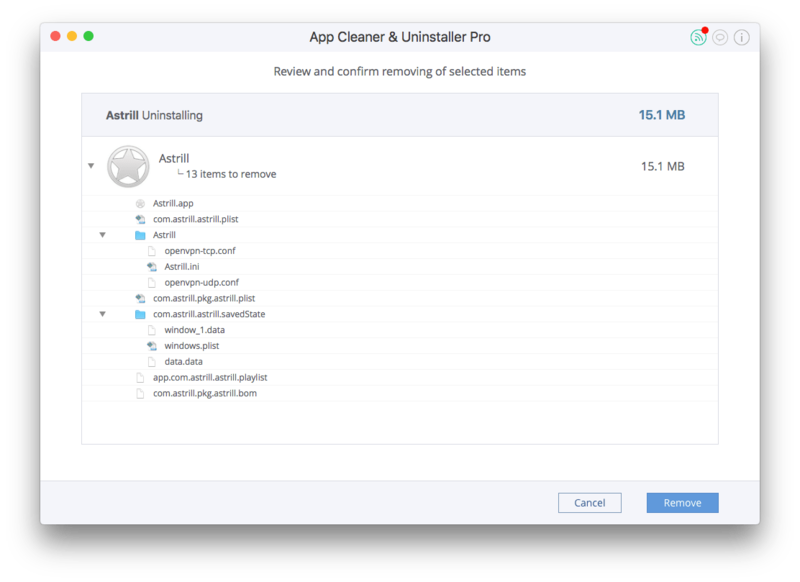 Empty the Trash to complete the Astrill VPN app uninstallation. If you find some Astrill VPN remains, get rid of them and then empty the Trash. Choose Astrill in the list of applications, and all its service files will be selected automatically. Click on the Uninstall button next to the application. Review the items you want to get rid of and click on Remove. Empty the Trash bin to complete the entire deletion of the Astrill VPN app. The applications on our devices make our lives easier. However, over time they may become unneeded or require a reinstallation. If you need to delete one or several applications on your Mac, you can always do it the manual way. However, we also recommend that you try App Cleaner & Uninstaller. It is a handy program, which helps to uninstall more than 1,000 apps on your Mac, both quickly and completely. 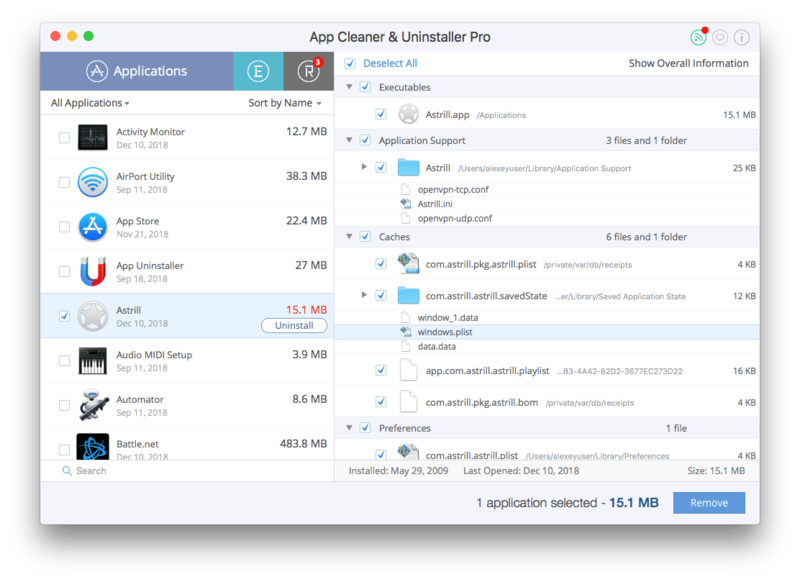 Learn more about the benefits you get with App Cleaner & Uninstaller.